Losing weight is what many people wish to achieve. Some people have tried a lot of ways but still have failed due to some reasons. It is sad to say but reality shows it. The bottom line when it comes to dieting is that not every diet is going to work for you, you have to try different things but don’t give up so easily. ImageMD has helped hundreds of people in Colorado achieve weight loss success with treatment plans. But along with our products we still recommend a few core changes to your lifestyle. 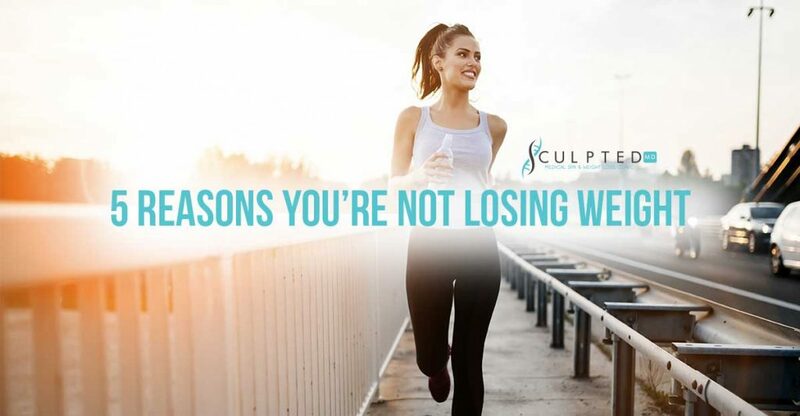 Here are the medical weight loss Denver’s explanations for the 5 Reasons you’re Not Losing Weight and why you really don’t lose weight and instead, you achieve a huge gain of weight that is unexpected to say the least. 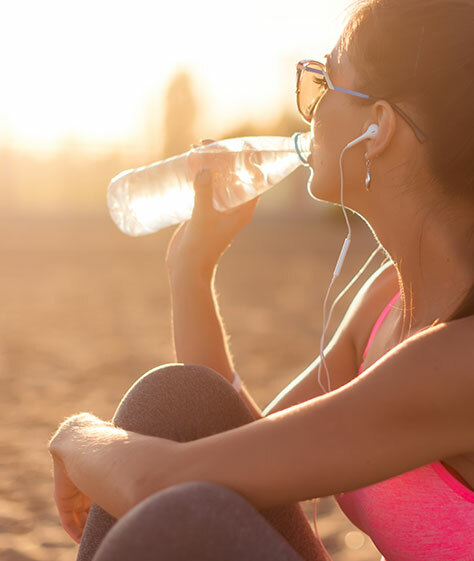 You’re not drinking enough water – drinking water according to most of the studies results in a huge contribution on weight loss of an individual. Typically, those people who do not drink sufficient amounts of water are not giving their bodies the opportunity to lose weight due to consuming other sugary liquids of depriving the body of water in general. increase your water intake and meet the minimum recommended daily amount of 8 ounces. Your not eating enough protein – Medical weight loss Denver also believes that by increasing the intake of protein rich foods, that this can also contribute to your weight loss goals. However, this is one of the best items that people typically forget to have in their diets. With protein rich foods your body essentially has to switch to a different digestive process. Keeping your metabolism working and burning fuel to convert those proteins into ketones which signal to the body to release excess water and gives you the full sensation sooner. You sit the whole day – you may just notice your figure once in a while if you have been sitting everyday due to your office- based work. Sitting down all day can have a dramatic effect on your figure and will add to your overall fat storage by not getting your body in motion throughout the day. Get up and move for 5 minutes or more every hour to get your blood circulating. When you start moving your body starts all sorts of difference processes to accommodate for the energy being used. Not enough daily exercises – having nothing to do or sitting all day long gets your life shorter because you gain weight instead. Having proper exercise hugely matters for losing weight and this is one thing you have been missing when you just sit or relax yourself the whole day. ImageMD recommends a daily workout routine that consists of a minimum of 15 – 30 minutes of cardio and light strength training. You eat when you get stressed – it is another type of psychological effect which leads you to gain weight instead of losing. Typically, people who are stressed out get comfort from eating the result can be an uncontrolled weight gain that works against your fitness goals. Instead of a constant weight loss process, stress takes it easily away from you. So keep yourself away from stress if you know you tend to eat too much or lose some of your self-control. All of these reasons contribute to unconscious acts that result in diminishing the chance to lose your weight and enjoying a physically fit body. In case you don’t want these things to continuously block your goal to lose weight, Medical weight loss Denver is where you can find solutions on how to have ways on how you are going to fight these reasons. They will generally help you to become physically fit as what you are wishing for.